I Survived the A-Z Blogging Challenge: Did You? c) I made a commitment and stuck to it! Huge congrats to fellow bloggers who had the guts to officially sign up and have their feet (or fingertips) held to the fire and who stayed the distance. And kudos to those of you who signed up and did their utmost but “life” got in the way of completing the challenge. It’s been a thrill and I had a blast but am also grateful it’s over. There’s plenty more to write about both here and as I slog away at my novel. But once again, congrats to EVERYONE who survived this challenge and who shared their amazing stories and insights. I believe we all deserve to celebrate! 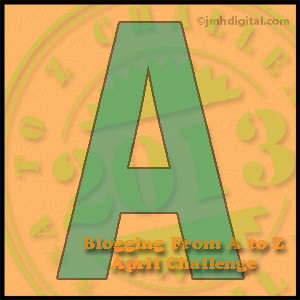 Yes, I’m doing the A-Z blogging challenge! A good way to get me to start blogging again. The A-Z is actually what it sounds like (although for me it sounds like ‘Zed’ whereas for Americans it sounds like ‘Zee’). Either way, it’s about putting up a blog post over the next 26 days (minus Sundays), with each letter of the alphabet. 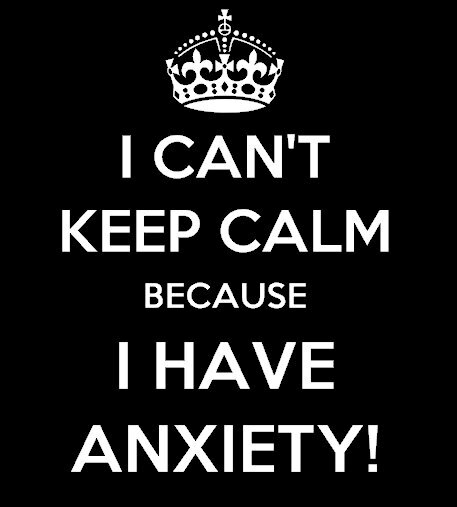 So today, I’m talking about anxiety. So, unlike other challenge bloggers, I have NOT read the posts leading up the challenge. I have not prepped what I will write in advance (my boyfriend asked this morning – what do you write about when you get to the letter X?) Sheesh! Can we start with “A”. So all of this has has already sent my anxiety into overdrive. Not to mention finding time to do this AND my day job AND keep working on revisions on my novel. And speaking of my novel – whose title now must change (to what I have no idea – maybe I’ll hold a competition for that. Who knows? ), I have EXTREME anxiety over the rewrites. As you can probably tell by my taking up the A-Z blogging challenge, I’m a pantser not a plotter and while I “pantsed” my way through the first draft, I now realise I need to do more plotting to flesh out the story. I have had to create entirely new chapters (plotted, not pantsed!). That alone causes anxiety. Oh, and then yesterday I read THIS article in Salon called Is Journalism Killing My Creativity? about journalists (my day job) and fiction writing and my anxiety was ratcheted up a notch. How did this writer get inside my head? Eek! Of course this can apply to anyone, really. It is, after all about dealing with your fears. But given the example used (journalism and fiction) it naturally hit close to home. Seriously, who am I kidding? It hit HOME! I’d ramble more about anxiety but I’m so anxious now I’m going to go work on my revision for my novel. Face my fears and all that jazz. Oy! I’ll be back tomorrow to talk about “B” Do I know what “B” will Be? Nope. Because that’s the pantser in me!